Artisan lampwork beads are amazing works of art. 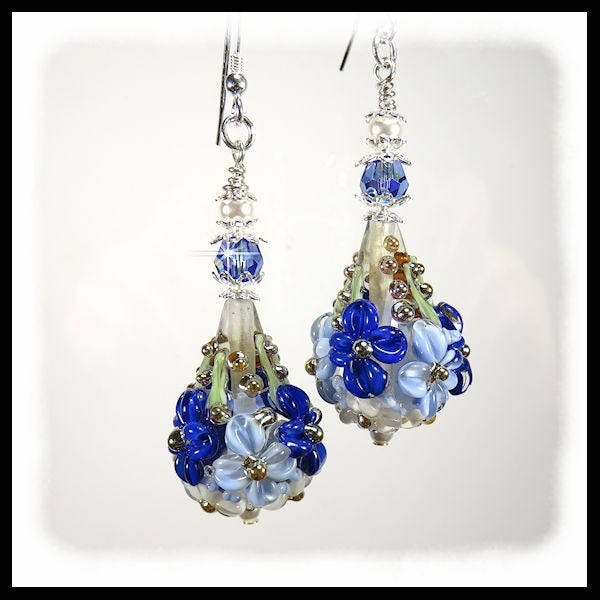 These floral earrings are accented with Sapphire Swrovski crystals set between sterling silver beadcaps. They drop 2" below the loop of the sterling silver earwires.